in 2007, at Brossard (Canada). 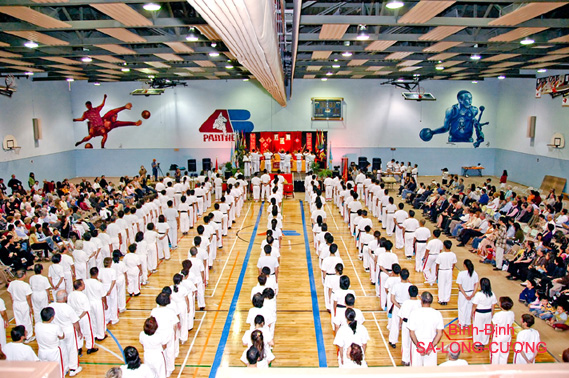 In 2004, a first «Convention of International SA-LONG-CƯƠNG» was organized in Montreal (Canada) - from September 23rd to October 2nd 2004 - during the occasion of the Commemoration Day of the Grand-Master Trương-Thanh-Đăng, in the presence of various countries representatives (France, USA, Canada, Việt-Nam & Italia), aiming at the goal for founding an International Federation. At this Convention, Master Lương Trọng Mỹ was elected as President of the International Federation Founding Committee. On this occasion, all Martial Arts Masters and Instructors present at the « 1rst SA-LONG-CƯƠNG International Convention », have reached unanimously the definitive change from then on of the name « SA-LONG-CƯƠNG School System » into « BÌNH-ĐỊNH SA-LONG-CƯƠNG School System ». On September 2005, the International Federation Founding Committee elected the Martial Rector Master Trương-Bá-Đương as Administrator President of this very new BÌNH-ĐỊNH SA-LONG-CƯƠNG International Federation. 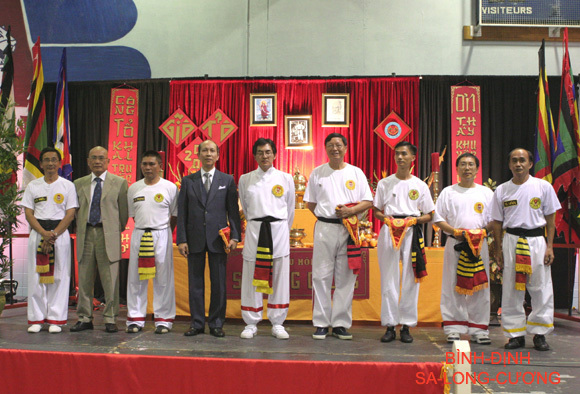 In 2007, in the occasion of the Commémoration Day of the Grand-Master Trương-Thanh-Đăng, celebrated at Brossard (Canada), a « 2nd Convention of BÌNH-ĐỊNH SA-LONG-CƯƠNG International» was organized - from September 23rd to 29th 2007, at Pierrefonds (Canada) - by the Federation and the Association of Sa-Long-Cương's Disciples. After this date, Mr Lương-Trọng-Mỹ (LƯƠNG Charles) split up with International BÌNH-ĐỊNH SA-LONG-CƯƠNG School System, for founding of his own free will a new Martial Arts School, called "Sa-Long-Cương LƯƠNG" and he expressed the demand for taking off his name from all WEBsites of International BÌNH-ĐỊNH SA-LONG-CƯƠNG School. Henceforth, the International Federation of BÌNH-ĐỊNH SA-LONG-CƯƠNG has in front of it a great and large path for undertaking to conform fittingly to norms of an International Federation, in order to be able to serve concretly the common interests of BÌNH-ĐỊNH SA-LONG-CƯƠNG School System which already doesn't stop to develop itself throughout the world. on September 29th 2007 at Brossard (Canada). «1st International SA-LONG-CƯƠNG Convention », organized from September 23rd to October 2nd 2004, at Brossard (Canada).